There is so many factors that you need to think about when it comes to the health of your infant, and ensuring that you buy the safest crib or cot should be at the very top of your list. You often hear from the older generation, ‘just go out and buy a baby crib’. Wait. Do you think so? Is it that easy? Let me guess, you think that old drop side crib will do just fine, but are you so sure? We wouldn’t be so sure, the CPSC (Consumer Product Safety Commission) out-right banned drop side cribs as of June 2011, this means that drop side cribs are no longer considered safe. And that’s not all, did you know that those crib-bumper’s you saw at that garage sale last week are now considered a major risk to sudden infant death syndrome (SIDS)? So you see, going out to buy a safe baby cribs not that easy, it really comes down to quite a few things you need to keep in mind. Do You Know How to Buy a Baby Crib? Safety? When it comes to ensuring you buy a safe baby crib and cot, do know what to avoid in cribs, or do you know what to look for? Do you know how far apart the crib slats can be before they are considered unsafe? Do you know what kinds of cribs are considered stable enough for growing toddlers? Do you know how much to spend without overspending or how much save without compromising a quality crib? Have you looked into whether baby cribs and cot beds are made from non-toxic materials? 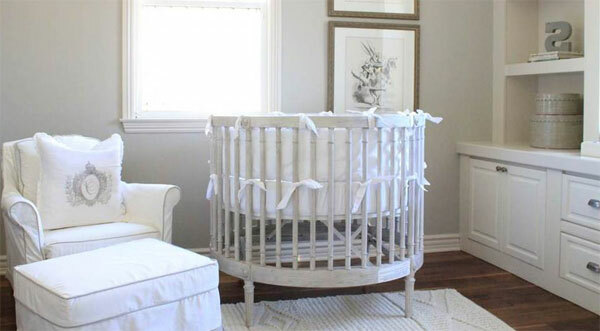 Do you know whether you are buying a non-toxic baby crib? Design? 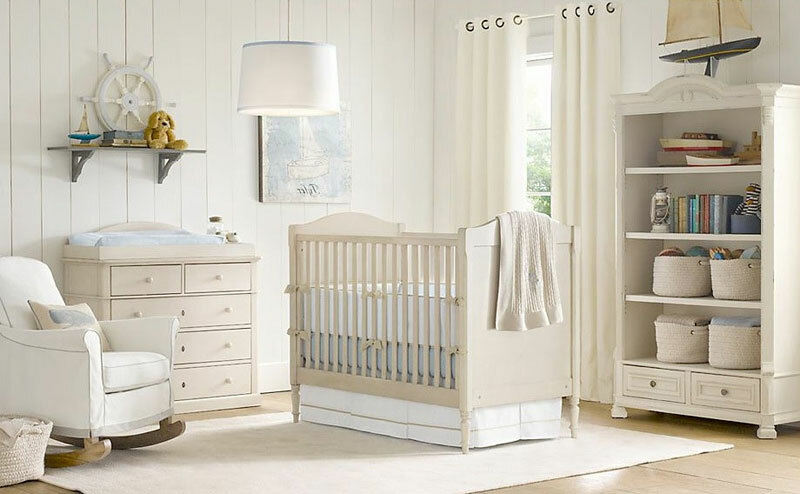 When it comes to design of the crib, do you want a modern crib or cot or are you going for a vintage style crib? Are you going for neutral unisex colours for future babies such as a white crib or would like a quality tuscany wooden crib or cot bed? 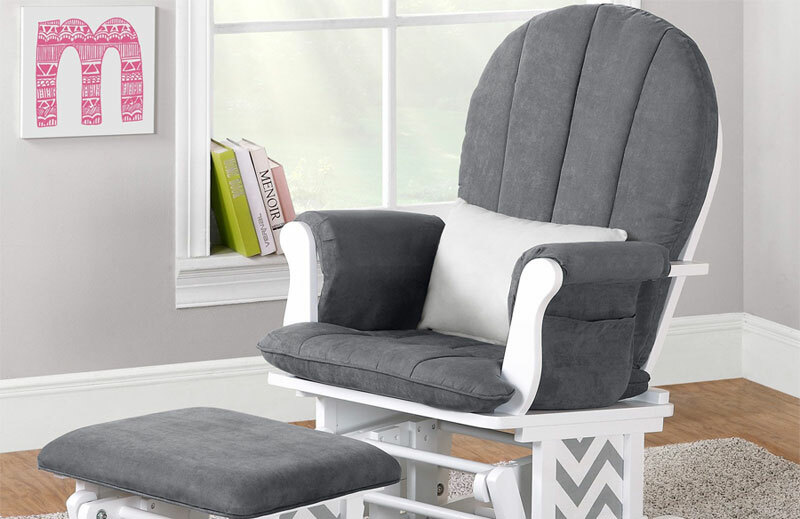 Are you willing to spend a little bit more on a quality crib or cot or even a cot bed that will last quite a few years that is a crib to toddler bed? Or are you a style icon and want to go all out on the ultra modern, luxuries, new age, designer crib such as the elephant crib by Oeuf below? Size & Shape? When it comes to size and shape of the crib, are you looking for a traditional rectangle crib at the standard baby crib size or would you opt for a round baby crib? Are you squeezed for room and need the best mini-crib to save space? Are you looking to make a statement and would like a unique baby cot, something a bit more on the luxury crib side or high end crib such as a designer crib? New or Cheap? Or are you parent that would just like the newest crib, cot or cot bed that has hit the market? Or would you just like to buy a cheap baby cot and spend more money on a quality baby crib mattress? The list really is endless and depends on each and every parent’s preferences when it comes to buying the best baby crib, cot or cot bed for them. Don’t worry, it’s okay not to know the answers to the above questions. Most mothers and fathers don’t and please do not think that we are trying to scare you. We are not; we are just trying to explain how important it is to be here, reading this and reading what other parents think and their honest, day to day reviews on different cribs and cot beds. While a few decades ago cribs were more often chosen for design and comfort, studies today have shown just how important the right, safe crib is for your child and your family. Review our List of the Best Baby Cribs determined by us to help you decide. All the cribs that we recommend are safe for your baby to sleep in and help you answer many of these questions above. Don’t worry, once you read our recommendations, choosing which crib to buy will become a lot easier and clearer. Hi I'm Emma and I am the youngest and the newest of the mom's between us here at thebabybed. I have 2 young children, Paula and Mitchell, both under the age of 3. I will share my tricks and tips for all new parents out there. Having 2 children under the age of 3, I am well aware of the highs and lows of having young children and being a new parent.